We aim to provide the best possible service at all times to our patients. Most medical care and treatment goes well, but things occasionally go wrong, and you may want to complain. So where do you start? Every NHS organisation has a complaints procedure that provides a clear way for you to raise issues. We value your comments about the service you have received as they ultimately help us to evaluate and improve the quality of care for all our patients. 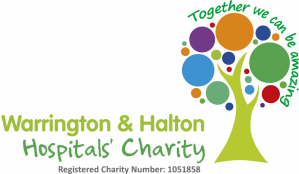 This section outlines the way in which any concerns, clarifications and complaints are dealt with at Warrington and Halton Hospitals. We try and support you in solving any queries or concerns, or answering your queries as quickly as possible and many can be solved on the spot. In the first instance, you may find it helpful to discuss your query, suggestion or complaint with a member of staff. They should try to help you with the issues you raise and provide satisfactory answers. 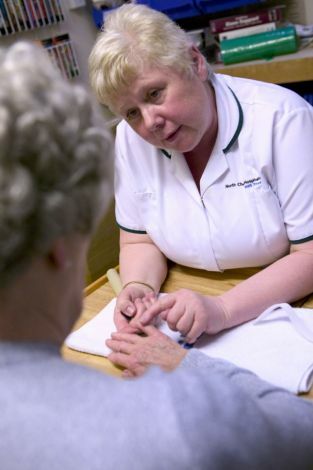 If you prefer, you can ask to see the ward manager, matron or request an appointment to see the consultant involved in your care. Although the PALS officer works for the hospital, their job is to help you and provide an independent service - resolving your issue as quickly as possible using their knowledge and expertise. Whoever you ask to look into your complaint will do their best to sort out the problem as quickly as possible. Sometimes they may need to involve other staff to establish what has happened and to decide what action to take. They will be careful to ensure that any information about you is kept confidential. This information will be filed separately to your health records. You will receive an acknowledgement within three working days of receipt of your letter of complaint. We shall then start our investigation to establish exactly what happened. We will aim to resolve all complaints as quickly as possible and the acknowledgement letter that you will receive will detail the time frames we aim to respond in. However, if your complaint involves several aspects of our service or is particularly complex, our response can take longer. If this is the case, we will keep you fully informed of progress and, if necessary agree an extension to the usual time limit. In some cases it may be helpful for a meeting to be arranged for you with members of staff where we can discuss the complaint - every effort will be made for this to take place at a convenient time. It is important that you make your complaint as soon as possible after the event you want to complain about happens. The NHS has laid down time limits for accepting complaints. In order to assemble all the facts, the earlier a complaint is made the better. However, the time limit for making a complaint is 12 months from the event giving rise to it, unless you could not have been aware at the time that there was cause for complaint. In such cases, the complaint must be made within 12 months of you becoming aware that you had cause to complain. If you are writing on behalf of a patient, the patient must be aware that a complaint is being made and the substance of that complaint. Their signed authority must be provided. If for any reason this is not possible, an explanation should be given and in such cases the patient’s next of kin must give authority for the complaint to be investigated. It is also important that you know that if you are requesting information or making a complaint, it is kept totally separate from your medical records. You have our assurance that your current or future medical treatment will not be affected in any way by making a complaint. If you need any help and support with making a complaint you can also access patient advocacy through your local HealthWatch organisations - provided by Merseyside & Cheshire Independent Complaints Advocacy. This service replaces the previous Independent Complaints Advocacy Service (ICAS) and will continue to be delivered by the Carers Federation Ltd, who has over seven years experience of supporting people in Merseyside & Cheshire with NHS complaints. If you need to make a complaint, we will make every effort to address your concerns. However, if you are not satisfied with the way your complaint has been handled or you feel the answers you have been given are inadequate, you have the right to request that your complaint be considered by the Parliamentary and Health Services Ombudsman. The Ombudsman is an independently appointed regulator. Their role is to investigate complaints that individuals have been treated unfairly or have received poor service from government departments and other public organisations including the NHS in England. Their powers are set out in law and their service is free for everyone. Such requests must be made within 12 months of your initial complaint to the trust. The Ombudsman is responsible for reviewing complaints that have not been resolved by the NHS body involved and can only consider your complaint if it has already been raised with us at the hospitals first.